The goal is clear: High-precision meteorology. In order to continue as a front-runner in the future, UBIMET continuously invests in research and development. UBIMET has successfully completed over 30 international research projects. UBIMET aims at setting new standards in meteorology. 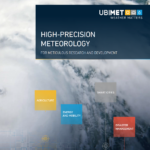 With continuous research and development, ongoing optimization of forecasting tools and the development of new products, UBIMET has assumed a leading role in the field of meteorological services. Day-to-day work is inspired and shaped by the demands of highly precise meteorology. In November 2015, UBIMET received recognition as a “front-runner” by the Austrian Society for Research Promotion for its “UBlalert” project. The “Front-Runner Program” supports internationally active companies that operate in a highly competitive market environment and shape the competition as leaders in innovation. UBIMET invests over 25% of its revenue in research and development every year. Partnerships with international research institutes, renowned universities and industrial enterprises cement its innovative leadership and aid in expanding it. The track record: Since 2006, UBIMET has implemented 34 projects in the fields of agriculture, energy and mobility, smart cities and disaster management. 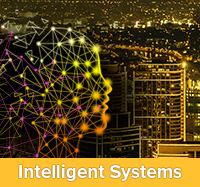 In this context, UBIMET developed concepts for energy-efficient buildings, precise alerts for disaster management, and weather models for innovative agriculture. EDI: The European Data Incubator project aims to address that only 2 out of the top 20 companies changing lives and making money out of Big Data are European. SATCOM Weather: Real-time attenuation data for satellite communication. The amount of water vapour in segments of the atmosphere provides valuable input for modelling and forecasting precipitation. ADA-EE (until 2018): The goal of this project is to apply data analytics methods to improve energy efficiency in buildings, predict future energy needs and prescribe measures to reduce energy usage. HYDRA: Hybrid downscaling and reanalysis of meteorological fields to any type of topography improving forecasting quality at the same time. PROKLIM: Optimising automated indoor climate systems using weather forecasts. 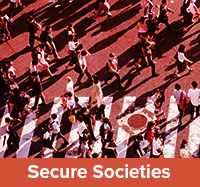 CITI-SENSE (until 2016): The project aimed at developing a sensor-based Citizens’ Observatory Community to improve quality of life regarding air quality in cities. PROKLIM+: Using model predictive control to optimise solar electricity consumption with enhanced energy efficiency. PrognoNetz (until 2021): This project aims to develop smart, self-learning meteorological networks, which precisely model the cooling effect of weather on overhead power lines in order to increase their transmission capacity by monitoring them in real time. SHAR-Q (until 2019): The SHAR-Q project will establish a bottom-up collaboration framework that enables sharing of storage and renewable capacities in neighbouring distributed energy ecosystems. 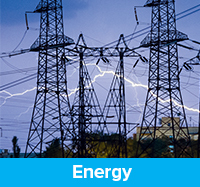 ProAktiv Netz: investigates how renewable energy can best be integrated into real-time grid operation taking maintenance activities as well as possible disruptions into consideration. MeteoValue: Conception of value-added services to warn against disturbances of the traffic flow and hazards of the traffic infrastructure due to meteorological events. 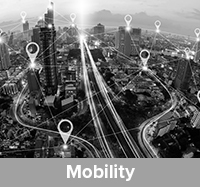 Wetter & Verkehr (Weather & Transport): Improving predicting traffic including forecast by identifying the effect of weather on traffic and traffic demand. MADISMA: Developing a demonstrator to optimise disaster management, building on knowledge and experience from the feasibility study INDYCO. UBIalert: This project strives to protect human lives and assets from severe weather events caused by climate change worldwide. Opti-Alert: Enhancing the efficiency of alerting systems through personalised, culturally sensitive multi-channel communication. SITUMET: Developing a new generation of meteorological services based on innovative, regionally specific forecasting modules. INDUS: Developing an early warning system for individualised, dynamic severe weather warnings based on nowcasting.